This morning Annelise's class took a field trip to our local Art Alliance Center. It showcases different artists and their artwork and even offers classes from time to time, at least I think they do. I can't say we've taken full advantage of this bit of culture in our backyard until today. 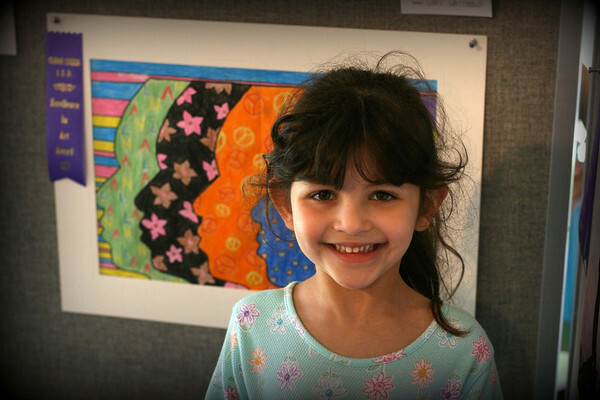 They are currently displaying artwork from students in our school district from Kindergarten through High School. It was interesting to see all the different mediums used and the results of their imaginations. There is a lot of talent out there! Annelise enjoyed looking at the artwork, at least for a little while. After a short break on a carpet square for a juice pouch and an oatmeal cookie, it was time to create. They mixed different colors of modeling clay and attempted to make a bowl. She tried making it two different ways (forming/molding a ball and coiling snake like) but bless her picky heart, she was never quite satisfied with her creation. Seeing all of the kids' art made me feel a little guilty for not encouraging A. 's creativity more often, and in different ways. She does draw, color, cuts and pastes a lot, watercolors occasionally but usually only does off the wall crafts at school (painting with shaving cream, leaf prints, all activities requiring glitter, etc.). I hate to admit that she has an easel with a chalkboard on one side and the place for painting on the other, but I've never bought the roll of paper for it. Or the pots of paint. I know. After our outing today I am inspired to give art a chance. I promise to relax my control freak tendencies and not worry about potential messes. I also promise to purchase a roll of art paper for her easel and the paint to go with it. Soon. However, I won't make any promises about the glitter. that is a neat place. 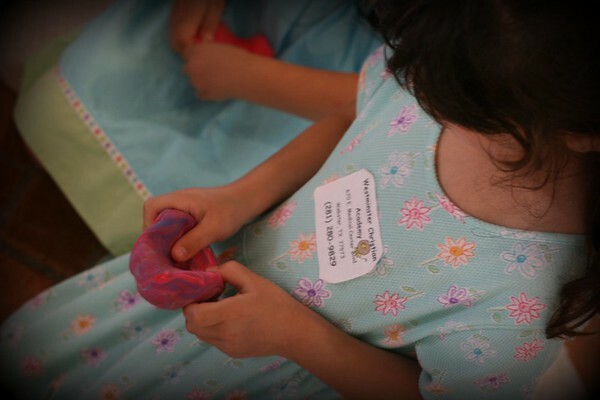 when the kids were small we took advantage of some of their free programs. I remember seeing the Native American Dancers there. And my son won second place in a poetry contest there. I love the arts --- but don't do glitter.... that stuff is wicked! Glitter is of the devil. That's the only explanation I've come up for it. It does not exist in this house either. I'm willing to do paint under controlled conditions...but no glitter either! P.S. I left you a comment on the playdate post but Blogger isn't working...hopefully it will go through!